Backstory: Over the past couple of months, Tom has been involved in a musical improv tournament composed of a 16 team single elimination bracket, where the winner will go on to play in the 9th Annual Los Angeles Improv Comedy Festival (June 6th-11th). Each team is divided by the players' home state. Tom was the only person from North Dakota, and some of his friends dared him to sign up as a one-man team, so he did. He has now won two rounds against Florida and Rhode Island. Next up is New York. After you watch the clips below you'll be surprised that this is the first time he's doing musical improv. 3) Show 2 (full show): "Steroids"
Tom is another example of a Penn alum who moved to LA after graduation to pursue acting. Once here, he started taking various acting classes. "None of the approaches were clicking with me until I started studying improv at iO West. The improv vocabulary made all of the other techniques I studied make sense. I credit my experience as cast member, writer, and Chairman of Mask and Wig with some of my best habits (obsessiveness, hubris, etcetera)." 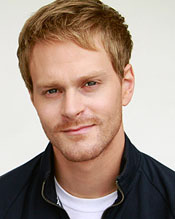 Aside from improv, Tom has appeared in TV and film. Recently he had a small part in the current Clint Eastwood film, J. Edgar, where he plays a theater cashier during the 1930s. Other credits include "Chelsea Lately", "The Tonight Show with Jay Leno", and "Leverage". Additionally, he plays every Tuesday with the improv team Ripley at iO West, and has also been teaching improvisation for over a year. I am originating the role of "Noah" in the upcoming play, Behind Closed Doors: A Second-Class Cabaret. If you recall, I covered a similarly entertaining story about THIS alum doing musical improv comedy as well.